There’re unexpected success, but no unexpected failure. There is no defeat without any reasons. Sincerely expressing New Year’s greeting. And wishing all of you a wonderful year. At the beginning of a new year, I have a bad feeling about economic trend. Former professional baseball manager, Katsuya Nomura says that “there’re unexpected success, but no unexpected failure”. I personally understand that there’re winning by good luck, but no losing by bad luck. Losing must have reasons to lose. This economic boom is brought by Abe’s economic policy, not by our capability. We should carefully manage our business at this modest point of view. Even in big company with good quality of corporate governance, so many inner risks spout out and damaged the company’s performance seriously last year. Very dishonorable, we had some accidents occurred every year in our company as a matter of fact. And we sometimes lose millions due to spoiled work. “What's done cannot be undone”, and changing our focus in a positive way seems to be a better choice. But we must learn from mistakes. We should confront the serious reality of our company, instead of being satisfied with the adorable figure for ourselves. The estimation “this economic boom will continue till the Tokyo Olympics 2020” is an utterly bright outlook. According to my statistics for 20 years for more, the domestic chemical machinery order is falling down continuously after the peak in 2014, and almost to reach the same level as the Leman shocks. Our Lost Decades chapter II will never happened again. ■KOTOBUKI needs “young”, “enthusiast”, “outsider” ? Sincerely expressing New Year’s greeting. And wishing all of you a prosperous year. Fortunately 2015 Domestic results seems to reach the target as committed. On the other hand, overseas results are unable to accomplish each target and going to be in deficit. But at the point of being distinguished from rivals, our China and Thai factory are still principle locations. We will try hard to achieve V-shape recovery. These years, I have one thing to worry. To achieve the target is good, but the target seems to be easier year by year. It looks like entrance examinee lower the school of choice (relatively certain to be able to enter) and feel content with the result. - No need to be No.1? - Just do the best is good enough? In the business competition, impossible to survive. The emergences of “Marginal Settlements”, “Shuttered Shopping Street” are caused by hesitating and neglecting necessary innovation. Always reminding as it say, “Today you, tomorrow me”. Go against the stream. More than ever, we invoke an innovation storm. Pouring our soul into every tube. 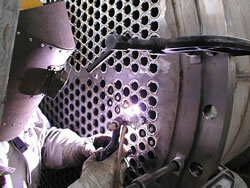 Heat exchanger repair services. 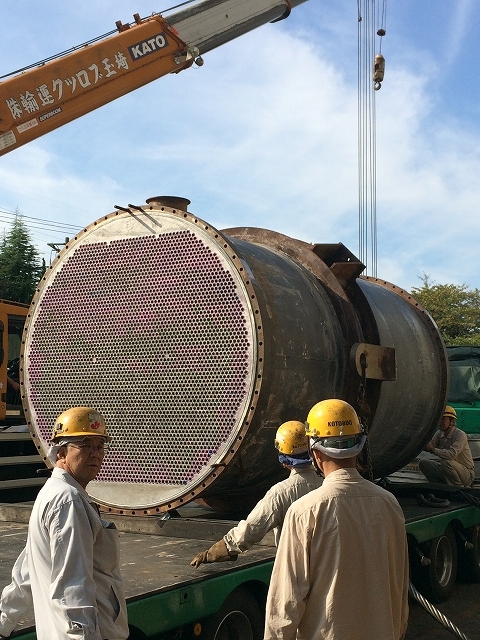 Maximum size heat exchanger (30 ton) for our Chiba head factory, those repair services started. Collaboration with partner companies and other KOTOBUKI factories, we will repair about 3000 tubes in 3 weeks. In order for refreshed heat exchanger to exhibit maximum performance,we would like to repair putting our heart and soul into every tube. KOTOBUKI HIMAX DRAIN SPARATOR: Working on the sea. 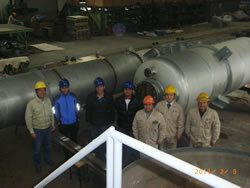 We started delivery of our HIMAX DRAIN SEPARATOR for Korean shipyard building various type ships. 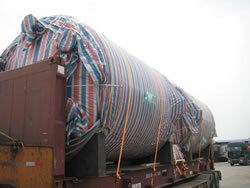 Those pressure vessels are approved by DNV・GL PV ClassⅡ. 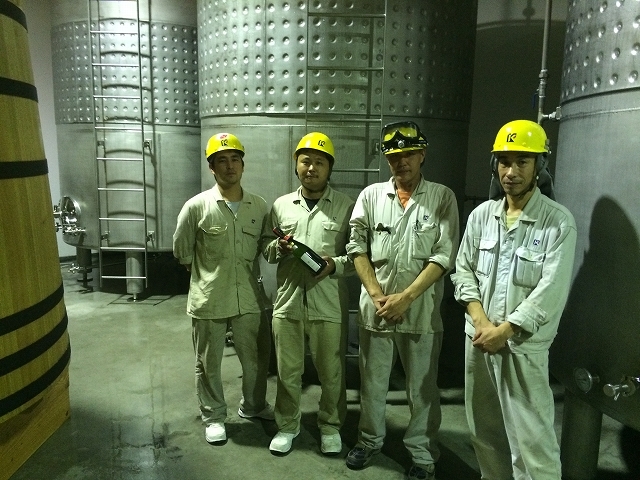 World’s passionate gaze to KOSHU WINE, Delivery of Wine fermentation tanks first time in this 30 years. It was 30 years ago since our latest delivery of wine fermentation tanks. 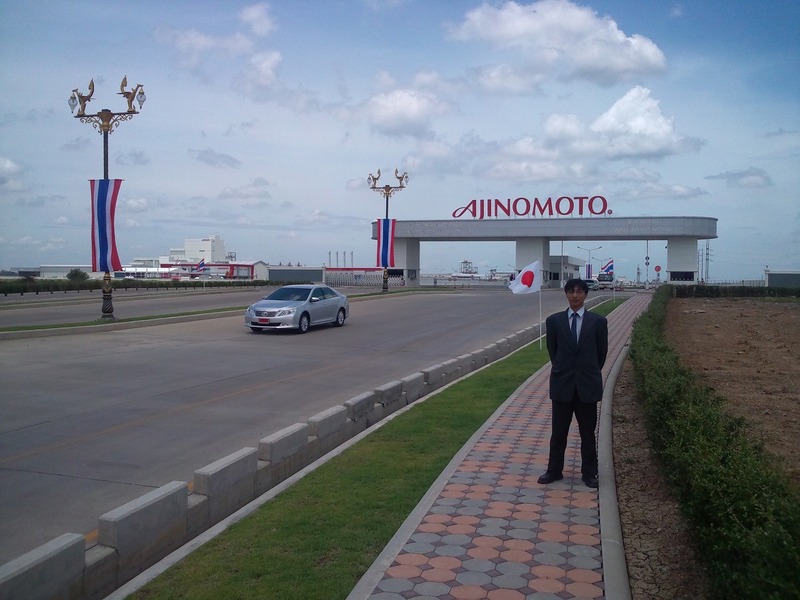 Those were fabricated at our Ayutthaya factory, Thailand and delivered to Yamanashi, Japan. KOSHU GRAPES are indigenous to Japan and its WINE is good with Japanese food. 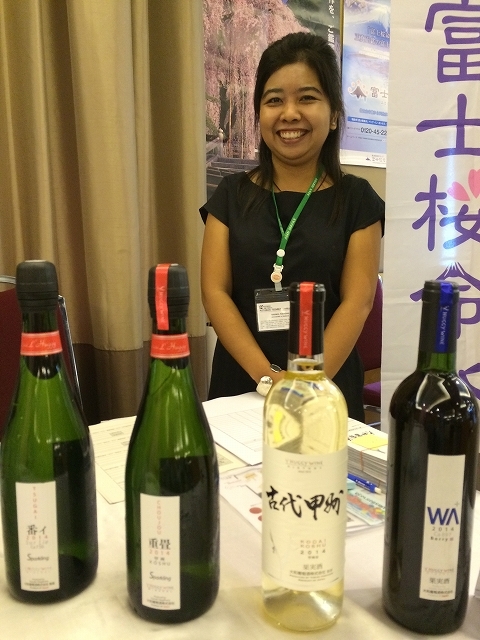 Even in Thailand, Japanese food loving Thai people were interested in KOSHU WINE. From this September, it will be peak of harvesting. We are looking forward to drinking the wine fermented by our tanks. Last May, Bangkok, KOSHU WINE PR activity with our customer. By this, No worry about Chinese Stainless Steel ! We are often asked by customers about reliability of Chinese material (especially Stainless Steel). Since 2004, we have fabricated Chemical plant in China, there is no trouble experience of Stainless Steel Plate as equipment’s main body, but we have experience of defective Angle, Flange, bolt and nut. It’s not the time of a decade ago like the processing trade importing Japanese material. For our user’s easily confirmation of material quality, we are using “OLIMPUS XRF ANALIZER”. By this, defective materials are completely shut out from our factory. 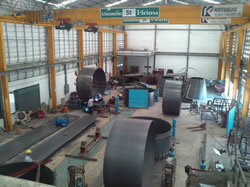 From now on, we would like to introduce our machines supporting our fabrication. The display shows main elements instantly, meaning “exactly equivalent to Stainless Steel 304”. Jiansu Kotobuki accept the intern student, Ms. Sata Kasumi, from Meiji Univ (freshman). Statement of the following is her impressions. My first internship was the good chance that I realized my immaturity. During the internship, I was often advised observing the workshop, not staying in the office. First I could not understand the advice, because I had intended to learn office work. I directly could feel the job in the workshop were more complex process, more elaborate preparation and more labor intensive than I had imagined. And more, my conventional image against workers in the workshop was definitely changed. From outside, it seemed to be repeating routine, but in fact that was taking care for in detail diligently. And I learned difficulty and importance of health management because I caught a cold during my internship. I understand the importance of health management in my mind. But actually in the bed, I bothered the company or colleague and I also lost a lot of time or opportunity to learn. This experience will help me to consider about health management in any environment and any time in the future. And by being taken care by the Chinese colleagues, I felt their kindness. Throughout the internship which I participate in, to my regret, I can't help finding out more my weak points. For example, I should learn about business manner and skill. But I could have very good experience to expand my vision by watching, hearing, touching, smelling and talking in China. Finally I really appreciate to Mr.Matsumoto and Jiansu Kotobuki's staff giving me the chance of internship and a lot of experience. 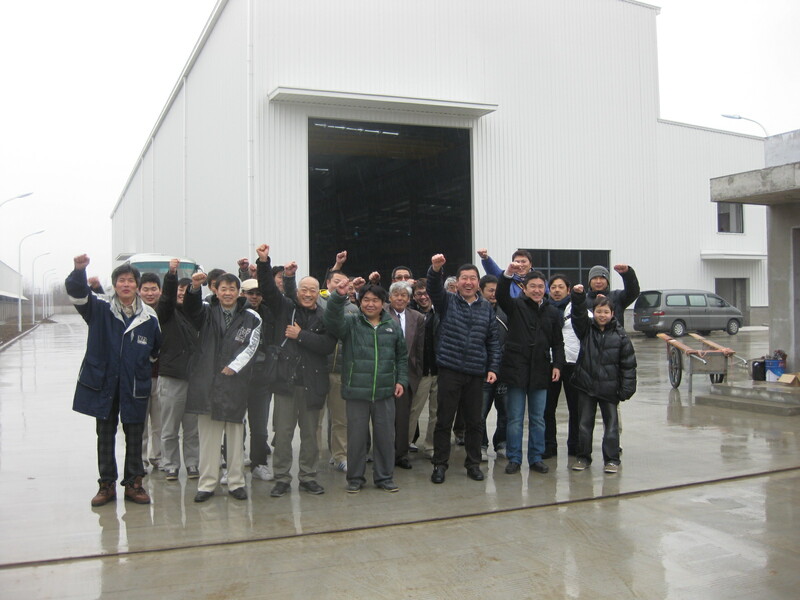 On Jan. 21st, several engineers from our customer’s overseas factories came to our Chiba head factory. They continuously visited us since 2013. And it becomes a very good opportunity to exchange each information directly with our users. 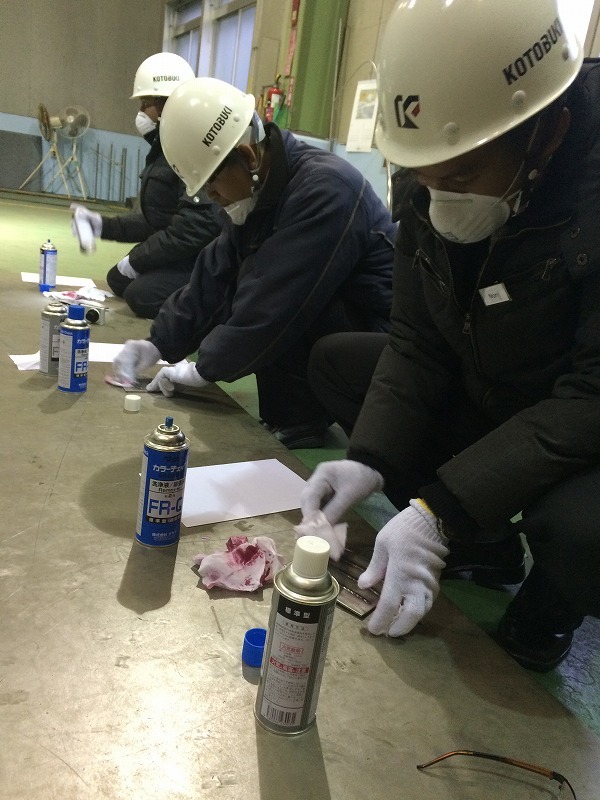 One of the pictures shows that exercise of penetration test to find out defects of welding seam by using penetrant and developing fluid. In the other one as a memorial picture, we request them to strike their adoring Japanese RAMEN owner’s pose. Here we sincerely express New Year’s greeting. Wishing all of you a happy and prosperous year. Thanks to all the supports by our customers, we’ve been almost reaching this year’s sales target. I would like to express my deep gratitude to all those who related to KOTOBUKI. Remembering the time to start working after graduation, I used to quickly finish the duties of the first day of the year and gather to Boss’s house for New Year’s banquet with all my co-workers. Now I became the same age as my boss at that time, but the things on the first seven days of the New Year dramatically changed. In these years, I spend most of my time to make New Year’s greetings to our customers and regular duty, that’s all! Comparing to only 20 years ago, even our work style has such changed. According to 2014 White Paper on Small and Medium Enterprises, depopulation and the declining birthrate and aging society are the most serious problems we must face in the near future. Depopulation as demands, depopulation as labor, this will be adversity for the company doing business mainly in Japan like us. In fact, this year’s National statistics orders received for machinery recovers to pre-Global Financial Crisis levels. Nevertheless domestic demand goes down to the half of it. Labor shortage especially in construction and service industry is better known. To keep working in the previous direction means decline. There will be many struggles both inside and outside of us to promote globalization and changes of working style in the local economy. But the efforts and time to overcome it, those are very precious and priceless. Without demographic bonus, this is the time to be examined our real capability. Optimal production scheme in 3 locations Japan, China and Thailand. 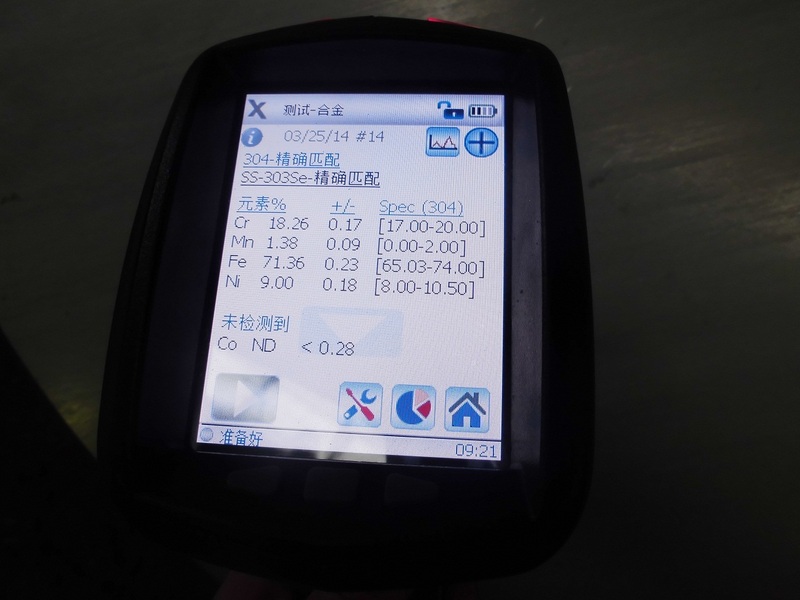 The Chemical Daily reports our recent production scheme in 3 locations, especially details about China Haimen factory. Reports show as below. 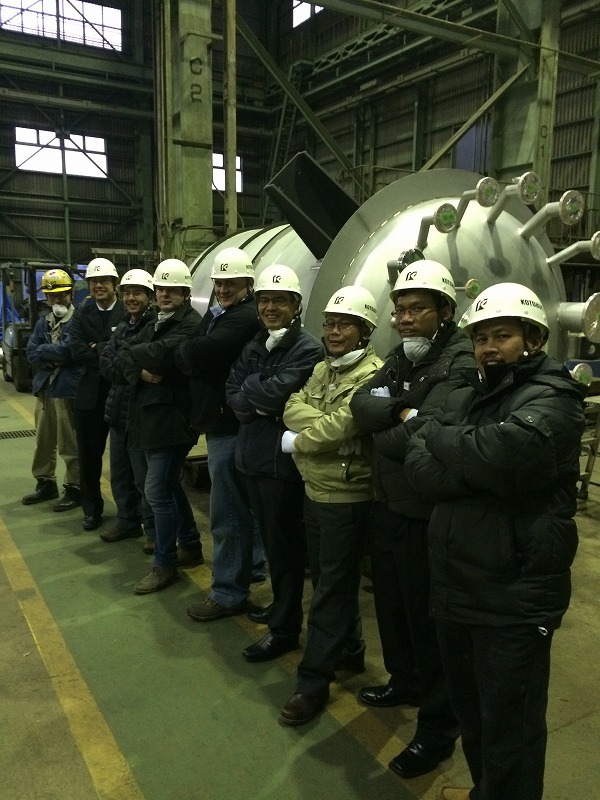 KOTOBUKI techrex -pressure vessel manufacturer for chemical plants try to take an initiative in the global market. 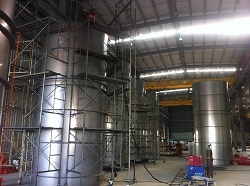 Recently their new China factory with the doubled production ability has been completed, and shipped the first tanks. Due to the continuous extension and new establishment of ethylene facilities in China, their orders are rapidly increasing. They’ll go for doubled sales in 5 years. At the same time, they’ll set up the optimal production scheme based in Japan, China and Thailand. Hereafter for chemical, food manufactures and engineering companies, they try to enhance customer service and increase presence in the world plant market. 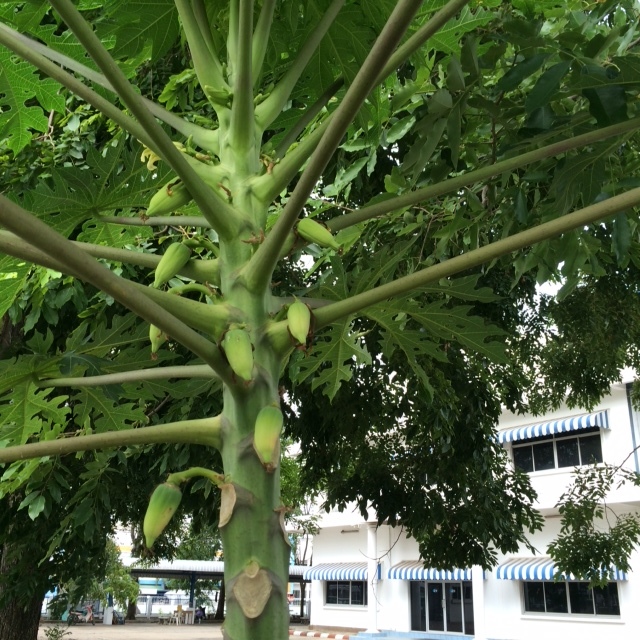 There is a papaya tree in Ayutthaya Factory. it’s going to bear the first fruit. The unripe fruit is cooked as spicy papaya salad, mellowed fruit is cooled to eat. So papaya lovers can’t help putting their eyes on. Our factory started again after the confusion of flood, and it was developing slowly year by year. Our fruit may bear in not so distant future. We welcome customers who love papaya especially at harvest time. 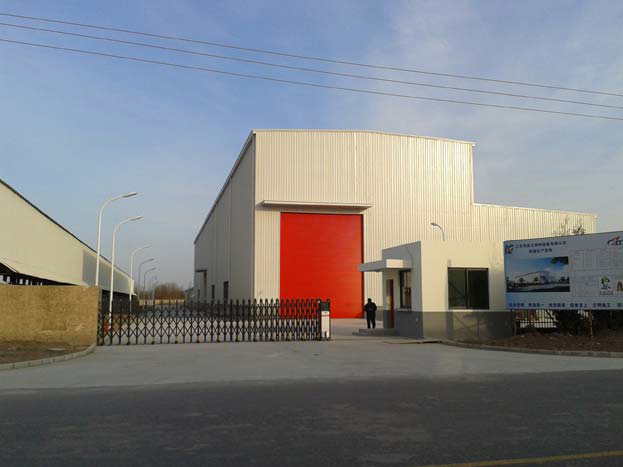 Our brand-new China Factory “Jiangsu KOTOBUKI TECHREX” had started operating from April. 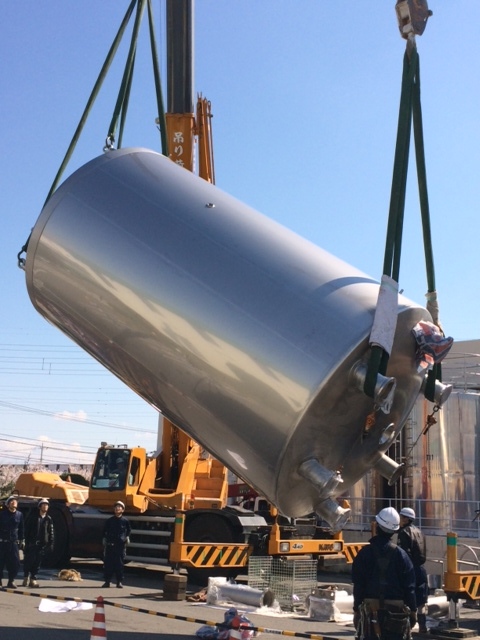 And this time, we has just finished shipping very first dairy tanks for Japan! 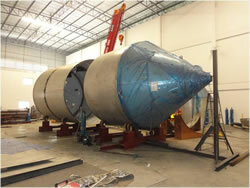 Our new 6m-long plasma welding machine and vending roller contribute to our product quality and working efficiency. Therefore, the body of the products are more beautifully finished than our conventional products. Seeing is believing, we sincerely propose our customers and potential users for further considerations. From this month, *Jiangsu KOTOBUKI, 100% subsidiary of Japan KOTOBUKI, began operating. Those are reasons why we decided to locate new factory in Jiansu Haimen city, neighboring Nantong city in which many our potential users are situated and also it’s easy of access to familiar Shanghai city, our former factory worked for 10 years. We reviewed our conventional process, we wish that automated and mechanized factory can reduce production cost and refine quality standard. Hereafter, we are aiming at expanding our Chinese business by starting fabrication of pressure vessels for domestic and export. Launching new factory, accordingly we will liquidate *Shanghai KOTOBUKI and its factory gradually. We reviewed our conventional process, we wish that automated and mechanized factory can reduce production cost and refine quality standard. Hereafter, we are aiming at expanding our Chinese business by starting fabrication of pressure vessels for domestic and export. Company Jiangsu KOTOBUKI TECHREX, LTD. Shanghai KOTOBUKI TECHREX, LTD.
Business description Design, fabrication, installation and piping work of pressure vessels and sanitary equipment for food, biochemical, petroleum and chemical plant. 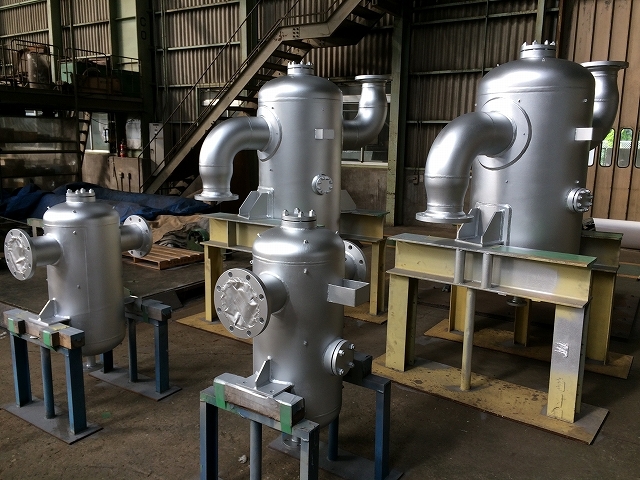 Design, fabrication, installation and piping work of pressure vessels and sanitary equipment for food, biochemical, petroleum and chemical plant. Our customer’s engineers from Southeast Asia, Europe and South America visited to our Chiba head factory for the inspection of factory. On that day, there were several machineries in production process like stainless steel, Ti, Ni-alloy, clad steel, Cu and etc. Therefore, we believed it was a very good opportunity for them to understand our production potentials. This picture shows the tensile test demonstration of confirming the reliability of welded seam. Just before Chinese New Year, we went for the company outing to Haimen and Shanghai in China. 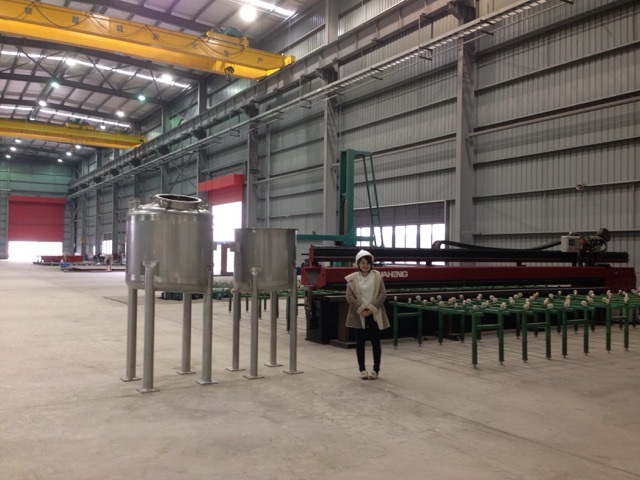 Visited our old factory and brand new Haimen factory (near completion) to observe the activities in China. At the center of Shanghai, most of the participants had been more interested in the Beijing road (next to Nanjing Road) than Nanjing Road. That because Beijing Road is like a treasure chest for engineers. By this visiting we could promote mutual understanding between domestic and overseas factories. Go for Ayutthaya Thailand next year! Let me start out by extending to you all my sincerest wishes for a wonderful and happy new year. The 2013 fiscal year, fortunately we could attain our necessary proceeds. Our heartfelt thanks are due to everybody related to KOTOBUKI. Also it’s our great pleasure that Japanese food culture is registered as UNESCO world intangible cultural heritage as the company working in the concerning part of its industry. Once upon a time in China, there was Mr. Yugong. He could not endure inconvenience of obstructing mountains in front of his home. He and his descendants make efforts to move mountains away for the long period. I impressed our customer’s advice on a heart again that keeping mind of establishment, honest, steady and indomitable will. Now watching atmosphere of Japan, from expectation of economic recovery, I feel it getting better and changing to optimistic. (Of course, bright and prosperous society must be good.) But without being influenced by prosperous or not, fulfilling the shortage of company content, preparing for expecting risk or crisis, holding our vector steady, I think they are KOTOBUKI’s conduct in this year. experienced political and economic ebb and flow, should show those behaviors. Now standing by for action, Factory of Jiangsu KOTOBUKI. 2014 Spring, it will start operation. We are heartily looking forward to your visit. To maximize the performance of the customer's plant and equipment, maintenance site work is the vital part of our business. During our customer’s periodic maintenance and shut down maintenance, the heat exchangers which need urgent re-tubing maintenances are continuously carried into our factory after overhaul inspection in advance. This is the moment to show our capability to complete with perfect result especially in the limited period of time. Hereafter, with our maintenance techniques which are highly developed in Japan, we’d like to contribute to the industries in the glowing countries like China and other developing ASEAN nations, too. 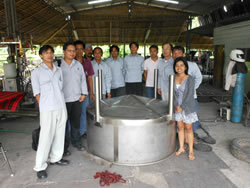 We completed delivering the equipment which processed by collaboration with our Thailand, Japanese and Chinese workers. Today we’re honor to be invited to their opening ceremony. Through participating this project, we’ve gotten various experiences both for good and bad, moreover unexpected flood and restoration. 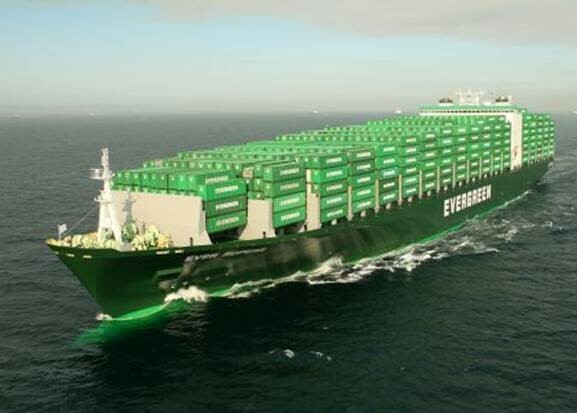 Our overseas expansions may seem to be much more than our actual ability. But we have confident about the development of human resources with highly skills to settle even unexpected situations. Additionally the employee’s unity across the border is also one of our property. Let me start out by extending to you all my sincerest wishes for a wonderful new year. Looking back, last year was celebrating our 80th anniversary from foundation. Fortunately we could attain our annual goal successfully. We would like to heartily thank everybody related to KOTOBUKI who are our customers and users, our cooperative supplier sharing joys and sorrows and our staff sharing common destiny. On the other hand, it left unfinished improvement to next year because of some complaints and troubles. 2013 is the year of snake. Like growing up snake, we would like to break though old ourselves and be beyond old ourselves. 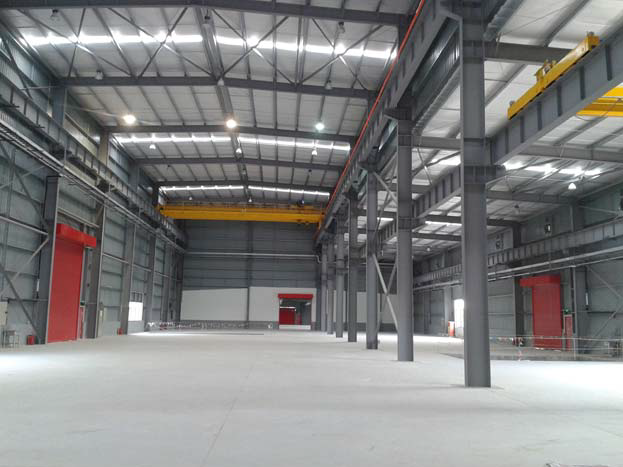 First challenging in this year is setting up of our Chinese new factory in Haimen city, Jiangsu. New factory will take the place of our Shanghai factory. We are sure it will work as we expect. But completing unfinished improvement is our urgent issue. As most developing enterprises have overcome the wall of old consciousness, we will be tested whether we can overcome it in this year. Once the Buddha said "All things are in flux and nothing is permanent." Looking at the teachings from the standpoint of us, Yesterday's safety never warrant today's. Past success never guarantee this year. We intend to remain faithful to the teachings this year as well. We hope to receive your continued patronage in the future. Our original Drain Separator with highly separating performance was introduced on The Chemical Dairy. 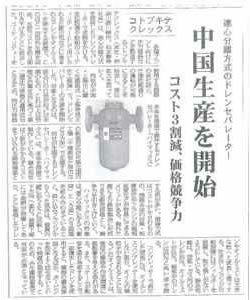 Higher performance drain separator developed by KOTOBUKI's own technology. 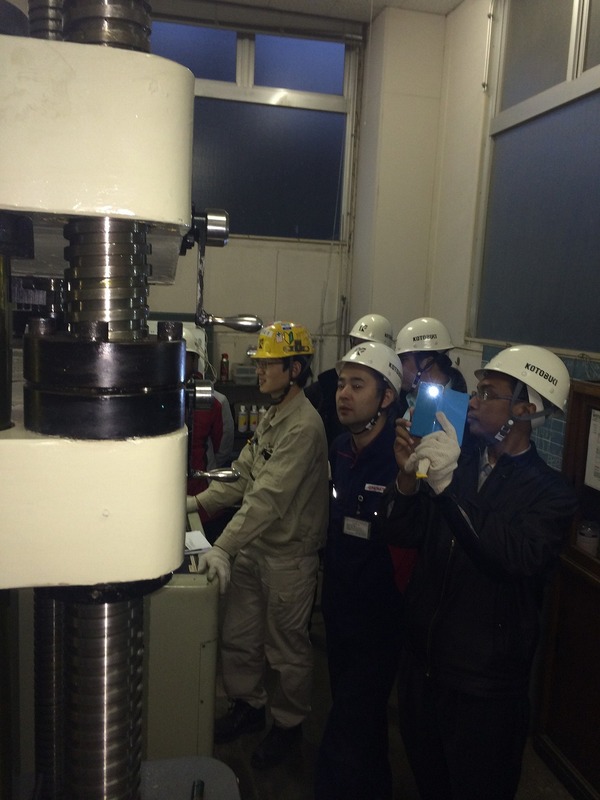 And we receive high evaluation in the field of petro・chemical plant, vessels and power generating plant. Its matchless performance can separate 99% drain, 95% oil mist from air & gas and 98% drain from steam. Mature products since developed, but still have had lots of demands to explore. For your safe and trusted plant and equipment, we reinforce production and sales in overseas. 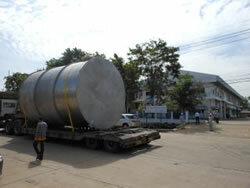 This picture is φ3500 stainless steel tank for domestic user in Thailand. 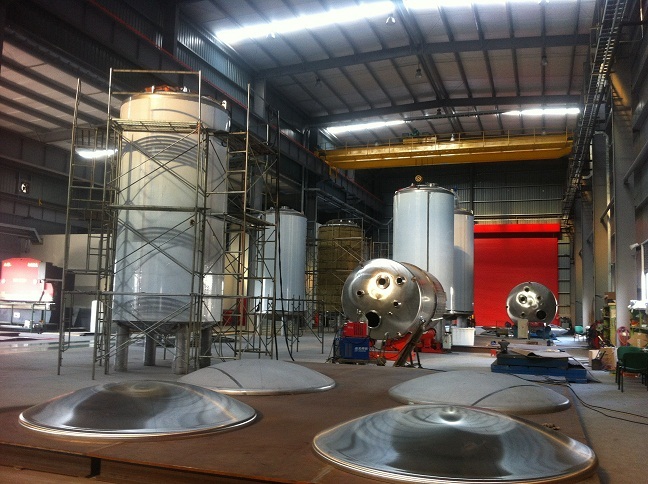 It is the biggest diameter tank that can be produced in this factory. As you know, our factory is located inland. That means to have numerous transportation merit. We will be very much looking forward to your order. Because of the limited space, we can’t produce as big as this size now. But we’re planning to construct new factory with the same production ability as Chiba and Yokkaichi factory in Japan. Detail information is doing to be reported lately. We had several exports from Shanghai KOTOBUKI in the past. Economic growth are all human’s rights. The countries only to export primary products are now taking off for industrializing day by day. For them, we do what little we can. The picture shows the machinery waiting for shipment to Africa. 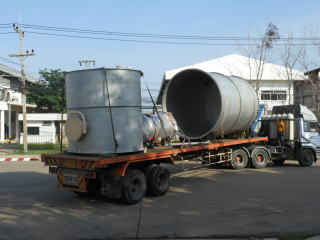 On 8th of May, our Ayutthaya factory finally started running again, and today we have finished the first shipping after the devastating flood. Although we had a hard time due to the damages from flood and incidental confusion, but we shall devote to put this factory on the path of sustainable growth. In Hindi, the word of Ayutthaya means “impregnable castle”. 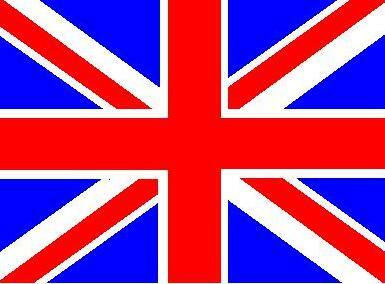 Be true to its name, we shall overcome this unfavorable situation. Located South of Suvarnabhumi International Airport, we start operating our temporary factory in Samut Prakan, Bangplee Industrial Estate. Almost all of the employees gathered in the temporary factory. We are going to start operation in the original place by April, 2012 after confirmation of the industrial estate’s flood disaster prevention. The uncompleted machineries due to the flood influence, Shanghai KOTOBUKI will take over and complete responsibly. At the same time, we are preparing for the temporally factory in the area without flood effect. The temporally factory is scheduled to operate at the beginning of November. We will keep searching for the best production systems, even if difficult situation. Concerning Ayutthaya flood, we really appreciate for your worries and supports.On October 4th, we were forced to evacuate from our Ayutthaya factory by the government order.But we have our customers waiting for our products. And we also have our employees.We have no time to make an excuse for unexpected disaster. On October 17th, our corporative company at Samut sakhon southeast of Bangkok, kindly supported us to offer the place to start operating again. In the past, we‘d experienced the flood by the heavy rain storm hit our Yokkaichi factory in 1974. 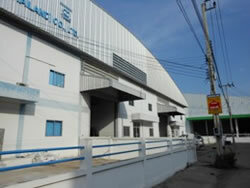 Therefore, we can resume Ayutthaya factory. With these smiles, we can do anything to overcome! 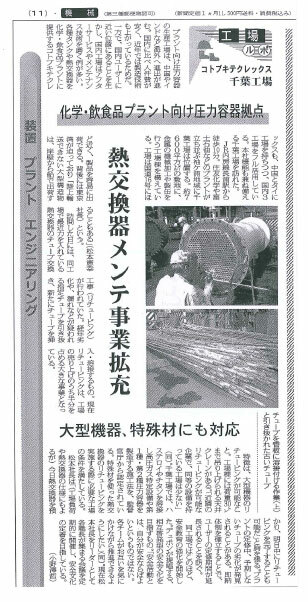 Our news topics tend to promote our overseas factories, but KOTOBUKI techniques are definitely based on our domestic factories Chiba, Yokkaichi and Saga. 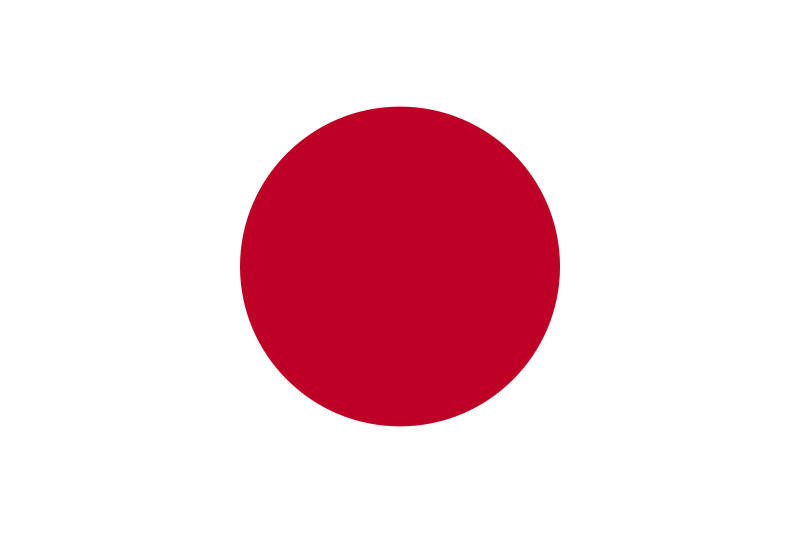 We can receive orders by overseas customers because of our accumulated techniques in Japan.At the viewpoint of globalization, Japanese production cost is much higher than other countries, but we must maintain our domestic bases by all means. Simple, but keep producing and making good use of techniques. That is us KOTOBUKI. Hardly imaging nowadays in Japan, the wages in China continuously raise up 10% every year since Shanghai KOTOBUKI starts operating. At the same time, it realizes these improvements - standards of employee’s techniques, and qualities of the purchased materials like steel sheets and other machine parts. In addition to that, the extremely high standard of strong Yen seems to offset the increase of wages for several years. 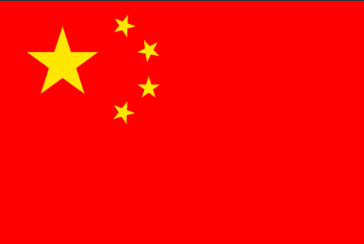 If you’re thinking about procuring plants from China, there's no time like the present. We started launching the food tanks for Japan and that was the biggest order per job in this year. 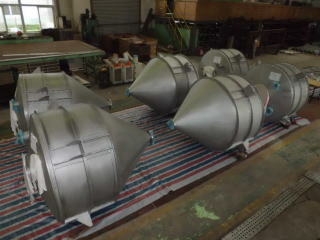 We actually produced 13 tanks of 20~30KL in Shanghai KOTOBUKI. The job was bigger than our capacity, so that we rent the factory next to us for supplement. This year is the 8th anniversary for Shanghai KOTOBUKI. We still continue to pursue good price, good quality, strict adherence to delivery time and good after sale –service to satisfy our Japanese customers. Shanghai KOTOBUKI try hard to satisfy our customers! 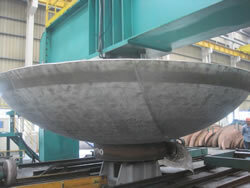 More than 6m-diameter-head plate was delivered to ASEAN religion. 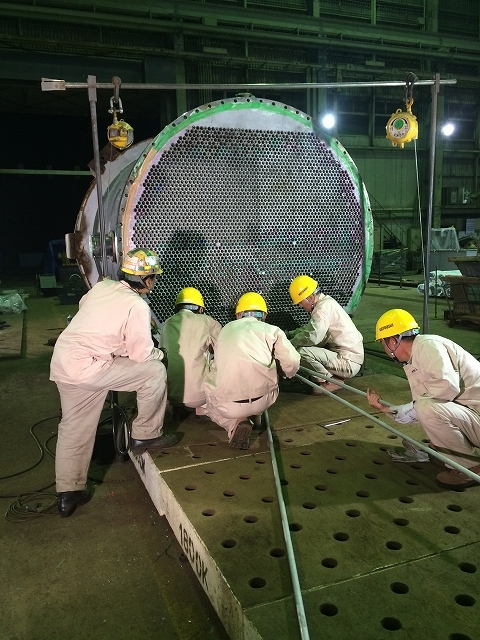 Our factories in Japan rarely have chance to fabricate more than 6m-diameter-tanks for these years. Our close network.. Japan, China and Thailand made this job completed. Our accumulated techniques in Japan succeed both in Shanghai and Ayutthaya factories. Now we have 3 engineers from Myanmar working in each place Chiba, Shanghai and Ayutthaya. At this time, we’ll employ 3 more to cover the expanding overseas demands. While aggressive Chinese and Korean companies have been encroaching foreign markets rapidly, the Japanese market will be faced to shrink rapidly without developing overseas business. After Chinese New Year’s Day on February 9~10th, we welcomed our user’s surveyors to execute the last survey for the finished machinery for Thailand. We propose the most beneficial condition for customers by comparing and examining our producing costs in 3 factories in Japan, China and Thailand.